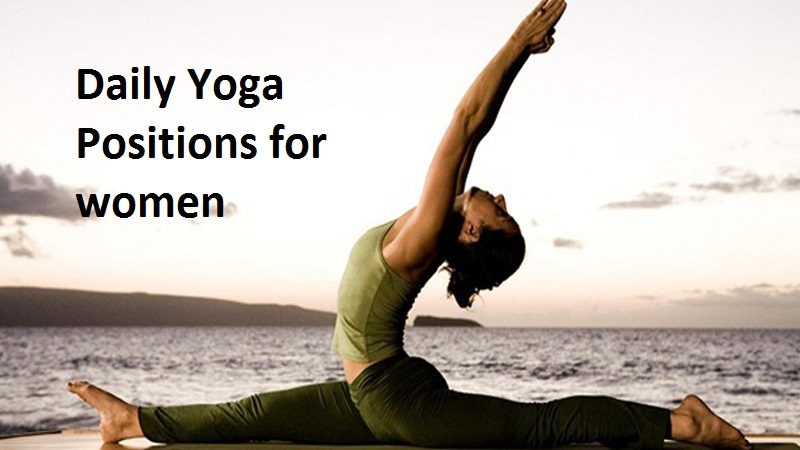 If you have to surprise what are the most recommended asanas for women here they are. Following this Yoga set is highly recommended in the daily work for women. This is part of the Kundalini Yoga technology based on angles and triangles, creating pressure and stretching specific organs and body parts. 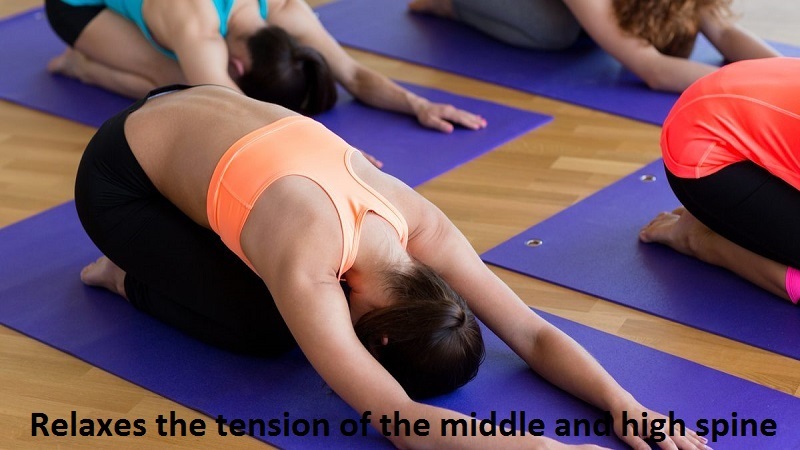 Relaxes the tension of the middle and high spine. It keeps the spinal fluid moving and stimulates the increase of Kundalini energy through the spine. Sit on your heels (if you feel pain or have an injury, use a cushion under the ankles or under the knees). Inhale and bend the spine inward bringing the shoulders and shoulder blades back, then exhale and push the spine backward. The eyes can be open or closed. Mentally you can sing the mantra SAT (truth) in the inhalation and NAM (name, identity) in the exhalation. Keep your head at the same level. To finish inhale and hold a root key for a few seconds, then exhale. Inhale and exhale through the nose. It is excellent to stretch the so-called nerve of life that goes from the back of the heels, the sciatic nerve, the entire back (low, medium and high) all up to the neck. Sit on the right heel and keep the left leg stretched forward. Bring the chest to the left thigh and hold for 2 or 3 minutes. Then repeat with the other leg. Breathing is done through the nose. 2 or 3 minutes on each side. Start on your knees pressing the buttocks, the palms of the hands on the back (in the area of the kidneys) with the fingers pointing upwards. Then bring your hips forward and throw your head back. You can stay there, or you can go to a more advanced position and put your hands on your heels. Then push the hips forward. 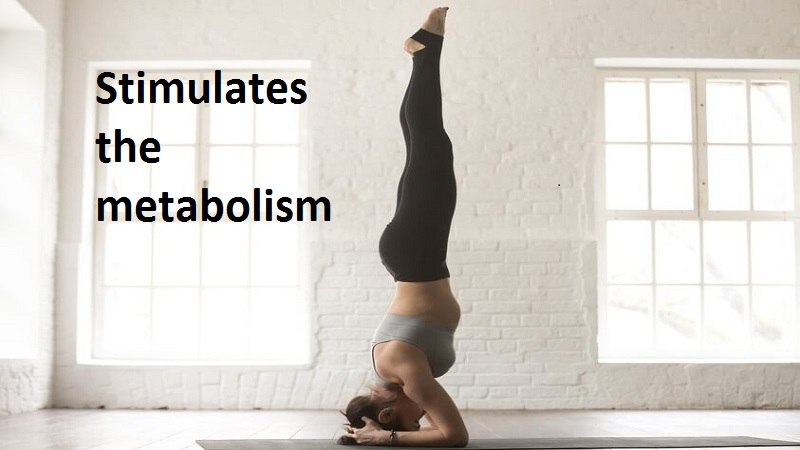 Stimulates the metabolism (thyroid and parathyroid glands). It puts pressure on 11 organs. It is ideal to lose weight. Start by lying on your back bringing your legs over your head and place your hands as far back as you can. Make a vertical line as straight as you can between the body and the ground. Do not move your neck or look at the sides. Keep your gaze fixed on your chest. Relax the breath. Excellent for women. Stretch the front muscles and open the hips. Standing. 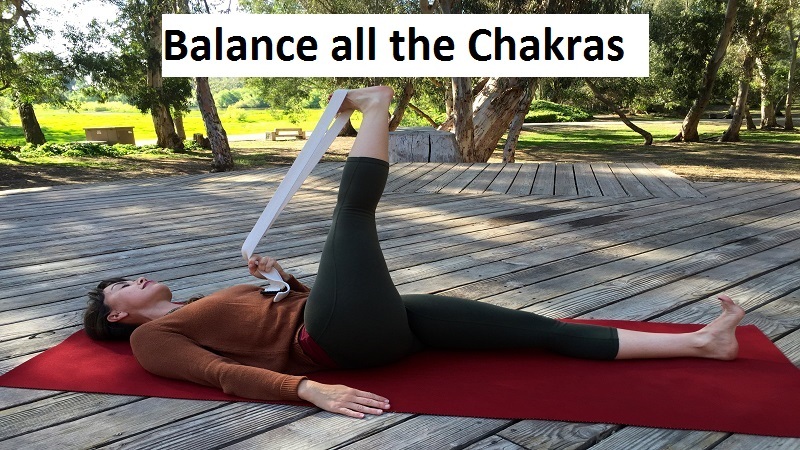 Place the right leg in front folded so that it is able to support the weight of the body. The left leg is behind with the knee on the ground. The right arm is extended as if you were preparing to launch with a bow. The hands are closed like fists, except the thumb of the right hand that is outside and behind. The left arm is bent back with the elbow parallel to the ground. You should feel the stretch through the chest. Hold the position. Breathe long and deep through the nose. This is a great posture for relaxation. It helps digestion and brings the Kundalini energy formed in the lower triangle of the upper triangle. Sit on your heels and bend forward until you touch the ground with your forehead. The arms are facing the sides with the palms facing up, or forward. This opens the rib cage giving expansion to the lungs and increasing oxygen consumption. It helps the functions of the long and short intestine, the liver, kidneys, and SPLEEN. 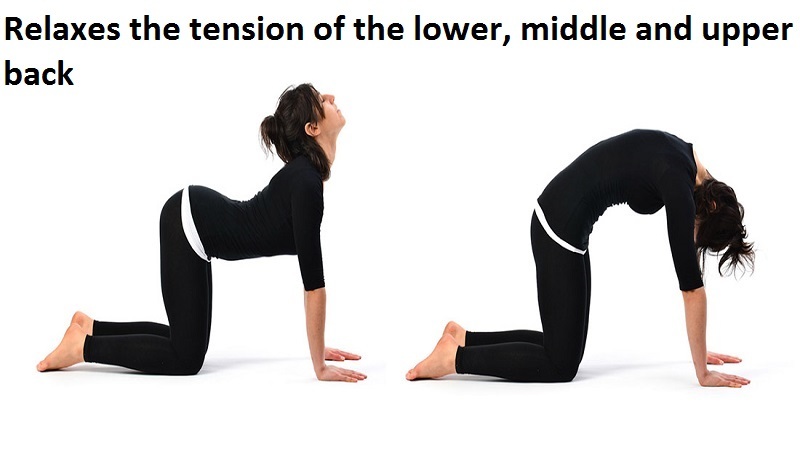 It is the very good position for those who want to harden rounding the spine. Lie on your abdomen. Bend your knees and grab your ankles. Now try to stretch your legs, this way the torso will rise. Bring your head back and lift your legs. Hold the position. It works the hardening and flexibility of the spine, specifically the middle and upper part of the spine. Helps to condition lumbago, rheumatism, and arthritis of the spine. It also relieves menstrual problems such as irregularities, cramps and back pains. 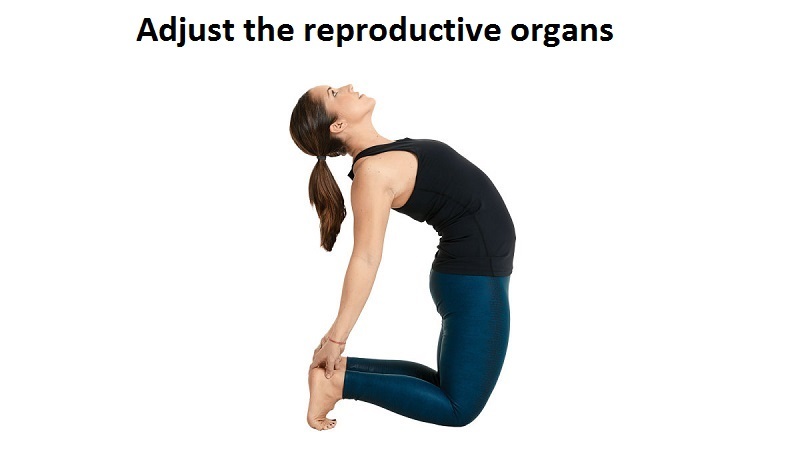 It corrects bad postures and improves the functioning of the liver and SPLEEN. Lie on your abdomen and place your hands in the area of the English. The chin is on the floor. Then raise both legs and hold the position. Relaxes the tension of the lower, middle and upper back. It is a great exercise to keep the fluid in the spine flexible and the Kundalini movement. Put yourself on your hands and knees. Inhale and arch the spine inward with the head facing up. Hold the position. Next, exhale and arch the spine outward, bringing the chin to the chest and maintain the position again. Balance all the Chakras. This position is supposed to be done every day. This asana balances the Manipura Chakra. There is an old saying in India that says that until the Manipura Chakra is not balanced the person does not get healed. Lie on your back. Lift the head and legs 6 inches (the length of a dollar bill). Hold the position. Hold the position with * the breathing of fire. Lie on your back for 1 minute. 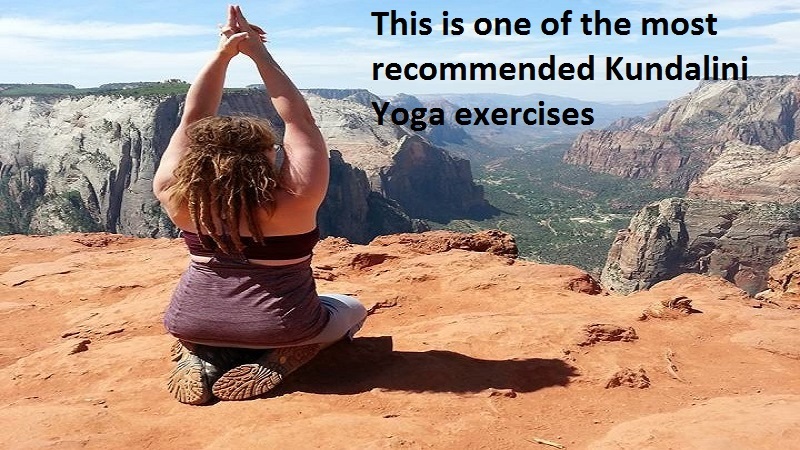 This is one of the most recommended Kundalini Yoga exercises. It is fabulous for the heart and circulation. It is like a pump to lift energy from the lower Chakras to the upper Chakras. Sit on your heels. Bring the arms up and interlace the fingers except for the index finger which should be kept straight pointing towards the sky. Inhale and recite the SAT mantra aloud as you push the abdomen inward, then recite NAM while relaxing the abdomen outward. It has a stable rhythm. It gets very high and the abdomen is pushed all the way in vigorously while you inhale. The natural one when reciting the SAT NAM mantra. Now the relaxation lying on your back is 11 minutes or as much as your day allows.